Now this is a very picture heavy post, so before you get stuck in I want you to go and grab a cuppa (and maybe a cheeky biscuit) and settle in for a long one! I have spent the last week gallivanting around the Isle of Wight like a complete grockle! It was Cowes week so the Island was positively buzzing with lot's of yachties (and wannabes). I would normally spend my Cowes week with friends, ideally fitting in a bit of sailing, but this year I decided to spend it with my mum, brother and lovely Grandma. Our first day there we decided to do a little exploring (Famous Five style). We walked through the beautiful Botanic Garden, winding our way towards the the steep cliff path/steps down to Steephill Cove. 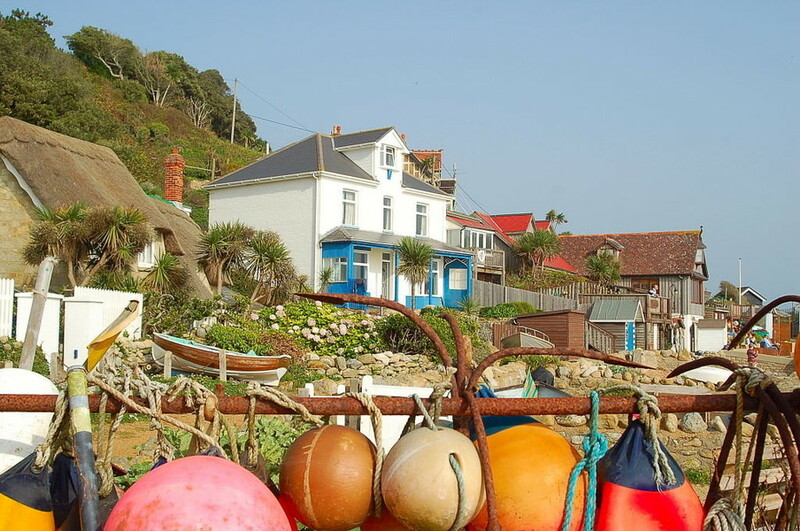 Once you have made your way down you then want to make the killer decision about where to eat, 'The Beach Shack', the 'The Crab Shed' or The Boat House (you will however need to book for 'The Boat House'). The first day we went we marched into the nearest establishment that served food, ordered an ice cool water and their freshest crab. I sat on the bar stall, kicked off my stripey espadrilles and looked out to sea, dreaming of ocean voyages and little adventures. However my reverie was quickly interrupted by a waitress with a baguette full of fresh crab and a bowl of Tyrrells crisps. Although I was in crab carb heaven with my baguette my brothers salad did look very yummy. I thought he was being super healthy, but in reality he actually just wanted a crab pasty as well!!! While I was talking crab, I thought I would jump forward and throw in day two's lunch. We all decided we needed to try The Crab Shed so after a morning of fun we walked down to the cove and sampled more delights. The Crab Shed is literally the cutest little place, a beautiful shed with shed loads (get it) of driftwood and fishing paraphernalia. The crab and lobster that is sold there is caught and landed there daily by their boat the 'Endeavour'. So everything is amazingly fresh and absolutely irresistible. After grabbing the last table we scanned the menu pouring over all the yummy options, after much deliberation we chose fresh lobster and crab pasties, pretty decadent but so totally worth it. After eating (on both days) we sauntered along the seafront. My brother digested his massive lunch while I lusted after my dream seaside house. Steephill Cove is such a magical little place, and I can't believe I've never been there before. After an afternoon of soaking up some sun, we headed into 'The Cove' for tea. There was a choice between doorstop three tiered cakes or Isle of Wight ice cream. Being the ice cream fan that I am I opted for coffee on the first day then toffee on the second while my brother scoffed a massive wedge of carrot cake. After having had our fill of food and sun we scampered back up the cliff, away from the heat and into the cool shaded gardens. I can't tell you how beautiful the Botanic Garden's are; the smell was amazing, you got hit every step with a different scent, everything from floral to woody. It was like walking into a candle shop, scent heaven! I got pretty snap happy while I was there, I took so many photos that you could't cedar wood for the trees (I'm on a roll), so I had to do some serious culling and just pick my favourites to show you. I hope you managed to get to the end before you finished your tea!